Add a little sass to your lashes this summer. Here at Forever Young Body Clinic, we have a few options if you are looking to show some love to your lashes, the lash tint or the lash extensions. Depending on your desired look and lifestyle, one or the other will work better for you. Lash extensions are a great way to significantly increase the length and fullness of your natural eyelashes. Along with giving your lashes an extra “umph”, they can seriously cut down the amount of time you spend in the mirror fussing with mascara. Lash extensions are perfect If you are on constantly on the go because they keep you looking well-kempt now matter how crazy your day get. Lash extensions are the more dedicated and expensive option of the two. In order to keep them looking natural and new, you have to proceed with a bit more care and spend a bit more money. For some, it is totally worth it! The lash tint trend is growing more and more popular over the year. Lash tints are great because they give the appearance of darker, more noticeable lashes for a cheaper price. A lash tint is also a more manageable alternative to lash extensions. Although this procedure does not add significant length like extensions, it does create the illusion of longer and thicker lashes. Here at Forever Young, we offer superb lash tints and extension services each and every day. With our professional care and skilled lash technicians, we can help you look your all time best. If you are ready to witness the wonders of our lash services, make your appointment online today! You will wish you did it sooner. Categories: Eyelash Extensions | Tags: best lash extensions in denver, best lash tint denver, Eyelash Extensions Denver, forever young lash extension, Forever Young lash extensions, fuller lashes, lash extensions at FYBC, lash extensions denver, lash extensions in Denver, lash tint denver, lash tinting denver, lash tinting in denver, lashes, lashes for summer, lashes in denver, longer lashes, natural looking lashes | Permalink. Lash tinting is perfect for the winter! If you are always on the run, lash extensions may not be the best option for you if you are looking to add some length to your lashes. Lash tinting on the other side, is a great way to darken and give your lashes the appearance of length without having to make the commitment of upkeep for your extensions. As the winter takes hold, it is the perfect time to change up your style and go for a more dramatic look with darker lashes. 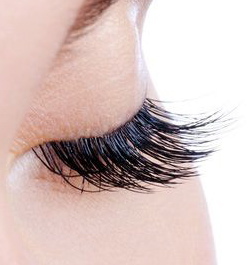 Here are FYBC we offer the best lash tinting in all of Denver, and we have fantastic new client specials. Now is the perfect time to book your appointment online! Lash tinting is low maintenance and requires little to no upkeep. It really is the best of beauty treatments. This particular treatment is especially great for those who have light lashes. Add some definition to your look! What are you waiting for? Categories: important info, skin care, specials | Tags: best beauty deals in denver, Forever Young Body Clinic, forever young denver, lash tinting denver, lash tinting in denver | Permalink.